Notice the drilled sap holes in the tree. 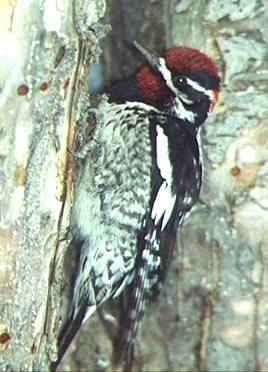 With their bills, the sapsuckers drill rows of holes through the bark of trees and fly away. The tree's sap flows into the holes and will attract insects. Later, the sapsuckers return to eat both the sap and the insects. The acorns are plentiful this fall, and the Lewis's Woodpeckers are thriving on them. 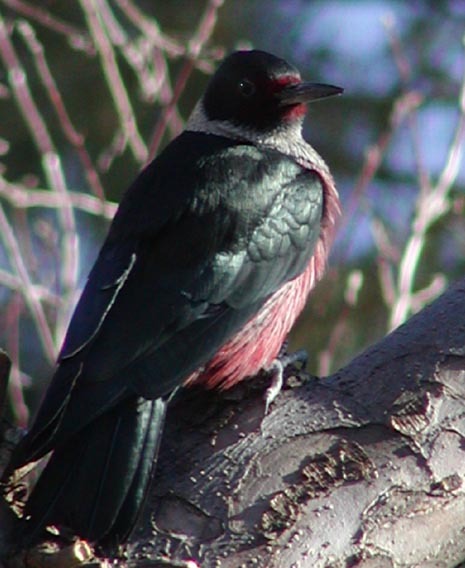 Some years we see a surge in the Acorn Woodpecker population, and some years, it's the Lewis's. Another visitor for the Virginia Creeper berries, this is the only North American ground-feeding woodpecker subsisting mainly on ants throughout the year. Notice the bright red mustache on this adult male. 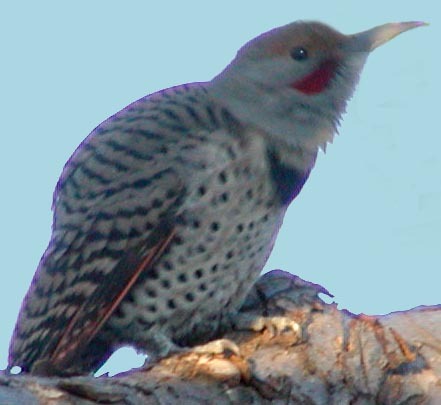 Here is an immature Male Northern Flicker. 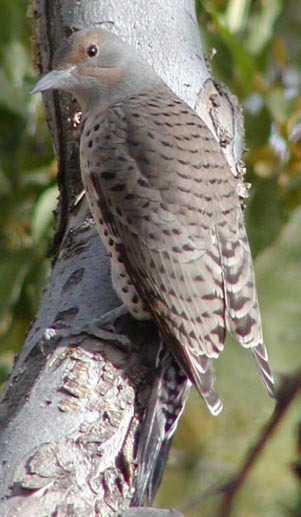 The mustache is present but not red in this juvenile male. 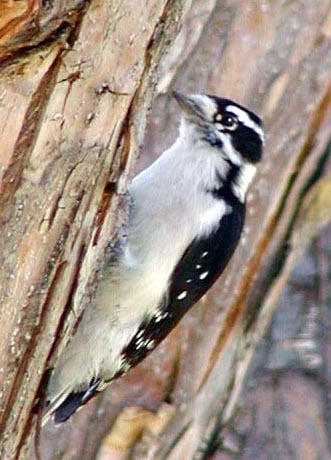 Similar but smaller than the Hairy Woodpecker, the Downy has a bill that is much shorter than the width of it's face viewed from the side. The Hairy's bill is about the same length as the width of it's face viewed from the side. 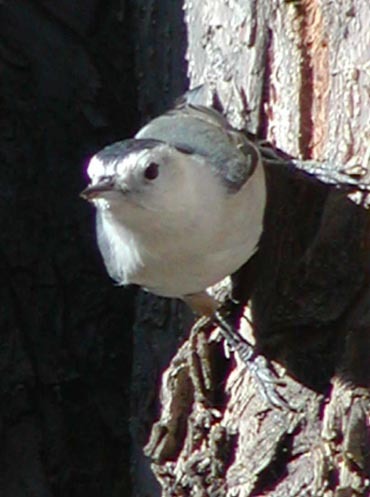 These bright members of the nuthatch family can be seen flying from the base of one tree to the top of the trunk of another. They usually spiral down around the trunk looking under loose bark for insects. When they get to the bottom of the tree, they move to another and start all over again. They will also readily come in to to get sunflower seeds from the feeder.